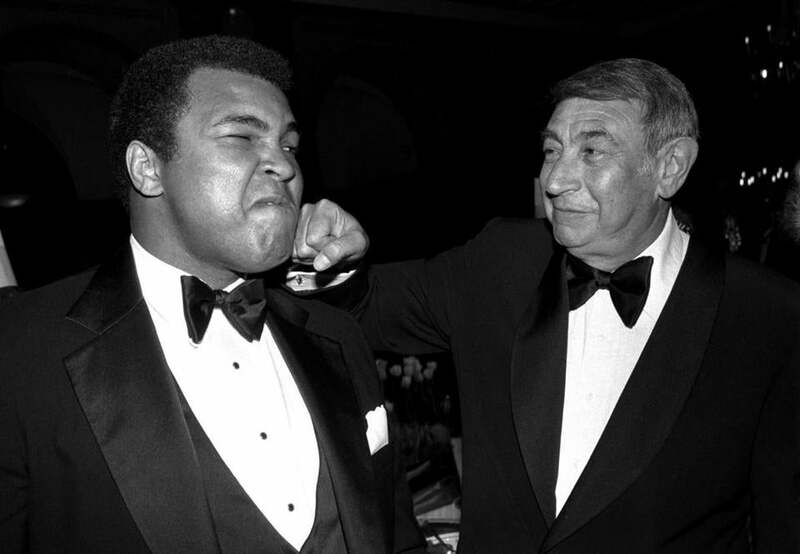 Sportscaster Howard Cosell always had Muhammad Ali’s back. On the surface, Muhammad Ali and Howard Cosell were the oddest couple sports television could possibly concoct. One man was black, the other white. One was a Muslim, the other Jewish. One was pretty, the other a toupee-adorned antonym of that particular adjective. It was only through the passage of time that Ali and Cosell’s similarities became apparent, appreciated, and eventually celebrated. The boxer, arguably the most charismatic and famous athlete the world has known, shared senses of self-promotion and social justice with the broadcaster, a bombastic blowhard blessed with the saving grace of his refusal to mask his inclusive convictions. Oh, and let’s not forget Ali and Cosell’s greatest commonality of all: Neither man had a mute button. There has never been another media-athlete symbiotic relationship quite like Ali and Cosell’s, and there will never be again. Nowadays, the most prominent athletes’ words are parsed and processed into digestible, empty-calorie quotes, until the words say and mean nothing. I’m sure I wasn’t the only one who nearly toppled over like Sonny Liston in Lewiston at Derek Jeter’s tribute to Ali on his The Players’ Tribune website last weekend. Jeter, the master of affable banality during his 20 seasons with the Yankees, posted a 145-word salute Saturday, the day after Ali died at age 74. 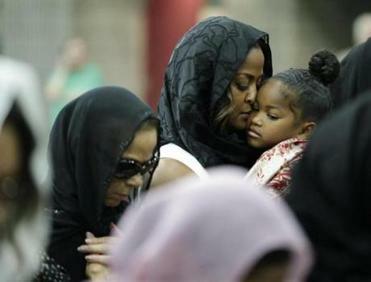 More than 14,000 got tickets for the Thursday service in Ali’s hometown of Louisville. Wrote Jeter (or, more likely, one of his public relations underlings): “Ali was also the first to bring real personality to sports, and by that I mean he was always himself, no matter who he was with or where he was. Jeter was right in theory, though the irony he misses is that his own intensely private approach to public life meant that we never knew his real self. He’s hardly alone in that, for there is not a modern superstar athlete who approaches Ali’s fame and social impact. The closest may be Magic Johnson, who has done worlds of good for HIV and AIDS awareness. Charles Barkley has never tempered his candor, even when it leads to controversy, but his star never ascended nearly as high as Ali’s. Michael Jordan? He sold lots of sneakers to Democrats and Republicans. Tiger Woods? Now there’s a contrast. Ali was stripped of his heavyweight title in 1967 after refusing induction into the Army. Woods, at least according to a recent exceptional, exhaustive profile by ESPN’s Wright Thompson, endured the erosion of his golf skills in part because he became obsessed with playing make-believe soldier with the Navy Seals. It was Cosell’s support of Ali during the tumultuous ’60s that was the sturdy backbone of their relationship. They had first met in 1962, when Cosell had interviewed Ali in New York for a sports roundup show he was hosting. When Ali shook up the world with his first victory over Liston in February 1964, it was Cosell who interviewed him in the ring, bemused as Ali bellowed, “I am the greatest!” and various other self-platitudes. Their relationship in the next decade and beyond, as documented during frequent appearances on ABC’s “Wide World of Sports,” was both serious and marked by often hilarious banter, with Ali often getting the last word at the expense of Cosell’s ego and vanity. In serious matters, Cosell had Ali’s back, even when it was an unpopular stance. At a time when the likes of legendary columnist Jimmy Breslin was referring to Ali as “a Muslim and a bedbug,’’ Cosell was unsuccessfully petitioning vice president Spiro Agnew to reconsider Ali’s ban from the ring. Cosell died in 1995. In Mark Ribowski’s book, “Howard Cosell: The Man, the Myth, and the Transformation of American Sports,’’ Ali’s longtime trainer, Angelo Dundee, captured the essence of the bond between the fighter and the broadcaster.